Bodhidharma meditating in a cave. “Vast emptiness, no holiness,” replied Bodhidharma. “Who stands here before me?” asked Emperor Wu. 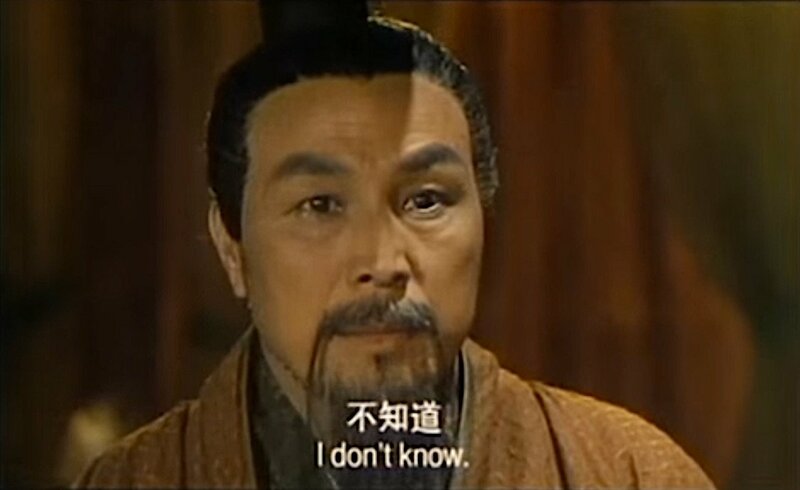 “I don’t know” said Bodhidharma. 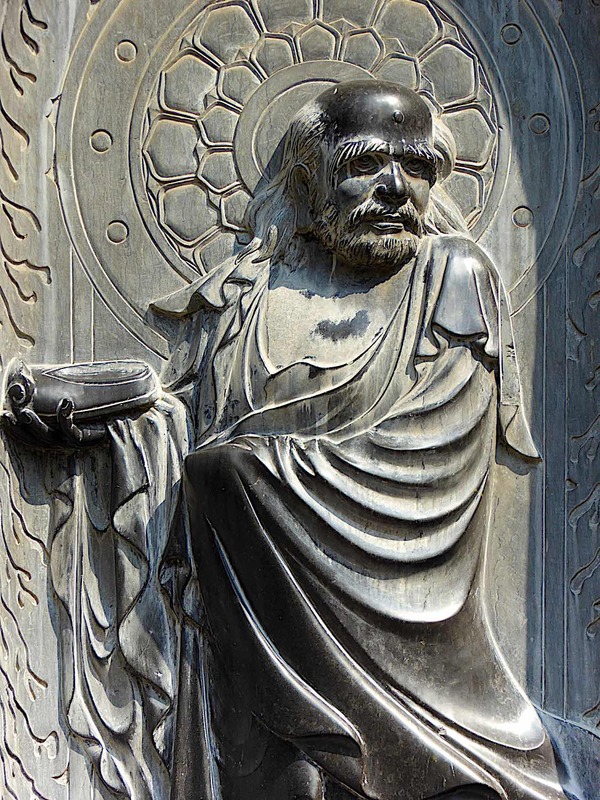 Bodhidharma’s life is shrouded in mystery — famous for bringing Chan or Zen Buddhism from India to China. He lived in the fifth or sixth century C.E. Said to have been born into a privileged, upper-class life in South India, he left his homeland to spread his teaching in China, and his exploits there became the stuff of legend. He helped shape Buddhism not only in China but also Japan, Vietnam, Korea and ultimately, around the world. This tends to make people think that Ch’an/Zen rejects the Buddhist scriptures and it has also been labelled anti-intellectual by some Westerners. Bodhidharma, as well as Zen more generally, does not reject the Buddhist scriptures, it merely shifts the focus from them to direct experience, it regards them as a guide to, rather than the full expression of Buddhist teaching. Ironically, Zen has produced a rich textual and doctrinal tradition independently of other schools which include Koans and the recorded sayings of masters and patriarchs. Some masters such as Hakuin Ekaku said that one must start with intellectual study. 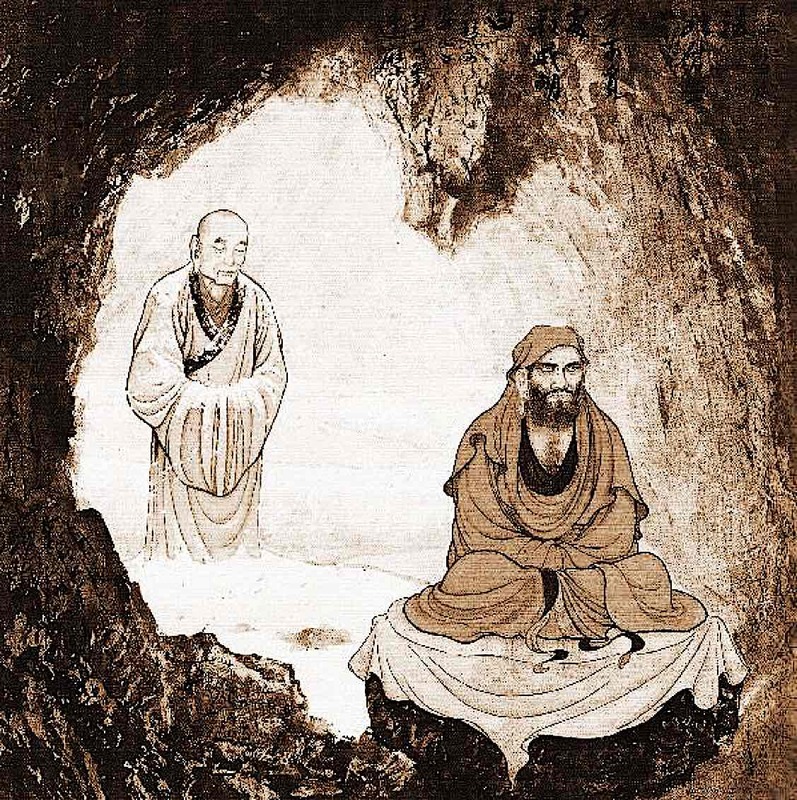 Bodhidharma comforts his disciple Huike. From the movie The Master of Zen. Note: on translation, in Buddhism, the “heart” is said to be the chakra of the Mind. Bring me your heart and bring me your mind are essentially the same. Bodhidharma’s journey across to China was said to have taken three years. Once there he was not welcomed and faced much opposition for his non-traditional views. 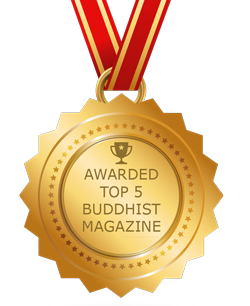 Most Chinese Buddhism, at that time, was based on sutras and traditions. 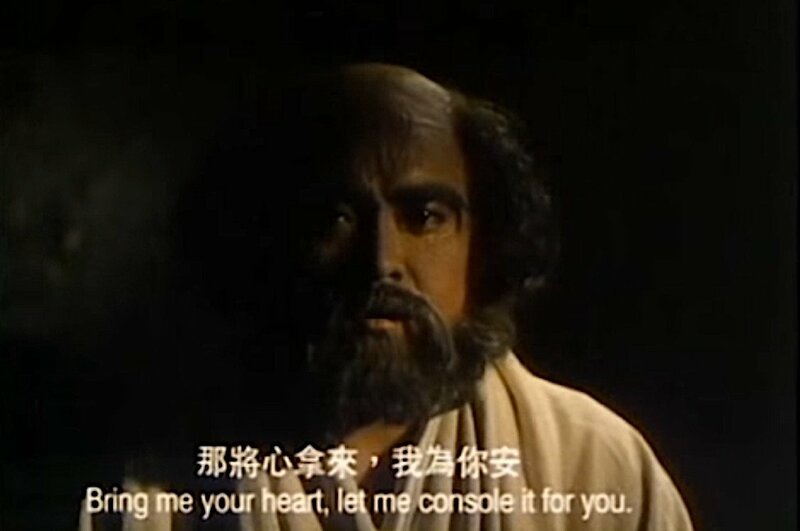 Meanwhile, this man from India, this Bodhidharma, claimed scriptures weren’t very important. Bodhidharma, like Buddha before him, appeared to be a radical. They must have thought, something like: if you have no scriptural foundation for your school, where was your legitimacy? Bodhidharma’s teachings became a pardigm shift in Buddhist history — teaching that silence and experiential mediation — rather than just reciting sutras — could be the secret to great insights. Bodhidharma travelling. He travelled for three years from India to China. One of the main aspects of Bodhidharma is his sense of humor. Many great teachers through the ages have exhibited great warmth and humor. His way of teaching included “shaking up the mind” and shocking his audience, not just for the sake of leaving the student chuckling — but rather, to provoke deep thought. 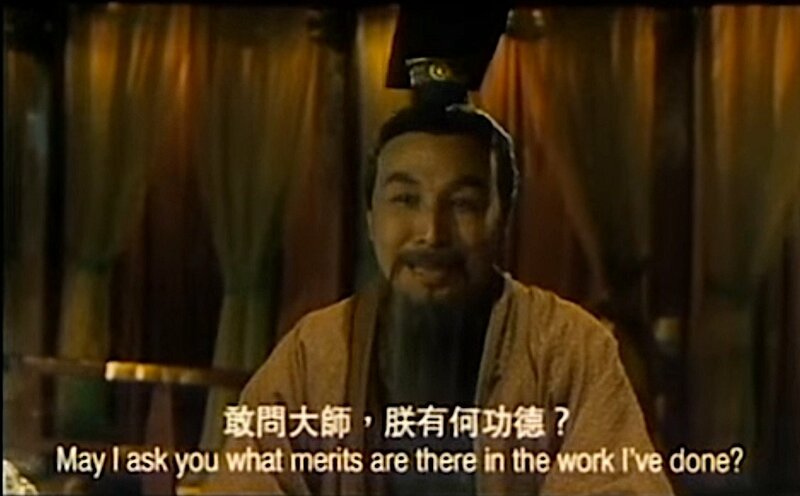 This humor is the basis for some of the most legendary and well known stories associated with him, two of them are about his encounter with Emperor Wu of Ryo who was a patron of Buddhism. The most famous is the one mentioned at the start of this piece. We believe that we are the content of our thoughts (and our opinions, beliefs, feelings and reactions). We resist seeing that we ourselves are “vast emptiness” and thus are denying our deep unlimited nature. The Buddha realised that there is no gap between ourselves and others. We are all one body. And by not recognising who we are, we are creating a chasm between ourselves and others that is greater than the Grand Canyon. In another famous story with the same Emperor, Wu told Bodhidharma that he had built many Buddhist temples and supported the Sangha, he was wondering how much positive karma he would receive from his actions. “None whatsoever” Bodhidharma was said to have replied, again infuriating the Emperor. As became evident, this answer helped point out to the Emperor that he did it for self-gain — instead of the good of others. These stories illustrate Bodhidharma’s conscise humourous style of teaching. 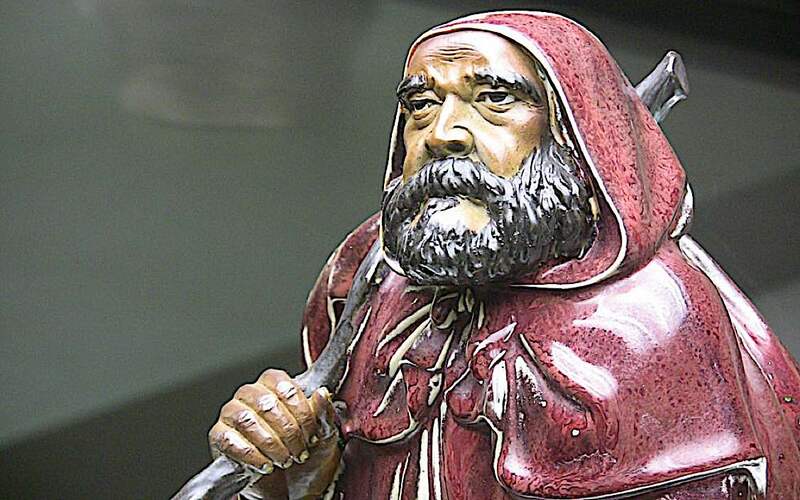 Yes, Bodhidharma could be difficult, annoying and confusing — but at the same time he is considered one of the most intelligent and profound of teachers. Bodhidharma may seem a little harsh or strange to the modern student — but this was his style of teaching. He pointed out the essential point — “pointing out” rather than telling. He’d encourage his student to dive in and puzzle it out for themselves, shattering their usual way of thinking. 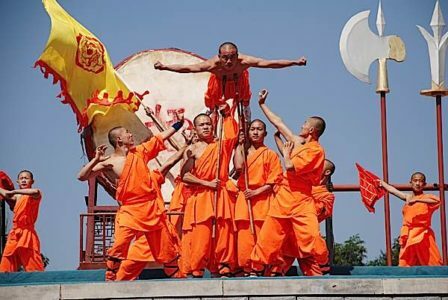 In legend at least, Shaolin martial arts are said to have originated with Bodhidharma, who brought the methods from India as a way to condition the body. This style has continued into Zen tradition up to the present day. Koans and “pointing out” are methods of teaching. Direct master to student transmission remains very important. Bodhidharma is Zen Buddhism’s 28th patriarch in a line of dharma transmission that stretches back to the Buddha. 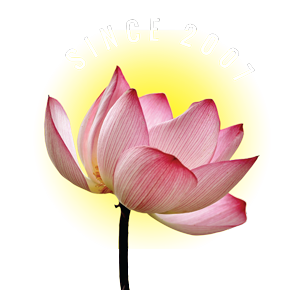 In the famous “Flower Sermon”, Buddha transmitted wisdom to his disciple Mahakasyapa simply by holding and twirling a flower. Without a word, Buddha expresses the ineffable nature Suchness. This teaching is regarded by many as the start of the Zen tradition. Bodhidharma is said to have cut off his eyebrows after he fell asleep facing a wall during meditation. Among the more legendary stories of the great Zen patriarch, Bodhidharma is said to have fallen asleep whilst sitting in meditation, starring — for nine years. He was so irritated with himself, that he cut off his own eyelids in frustration. This is why in classical images of Bodhidharma, he is depicted with an intense stare. He is also helped establish the Shaolin Monks’ training and prowess in martial arts and fighting styles, styles brought from India. These stories may be historical or mythical, but it just shows what the penetrating influence of Bodhidharma in Buddhism. “As long as you look for a Buddha somewhere else, you’ll never see that your own mind is the Buddha”. We remain unsure about Bodhidharma’s death, some say he was killed by a jealous disciple in a cave, some say he decided the time was right to die, having spread his teaching successfully to China and allowed himself to die willingly in meditation. Some say he was killed in the Heyin Massacre of 528. 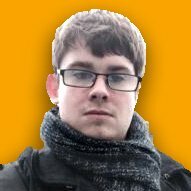 No matter how he died, his death is just as strange as his life and this only increases the air of mystery around him. Bodhidharma, the great chan sage. 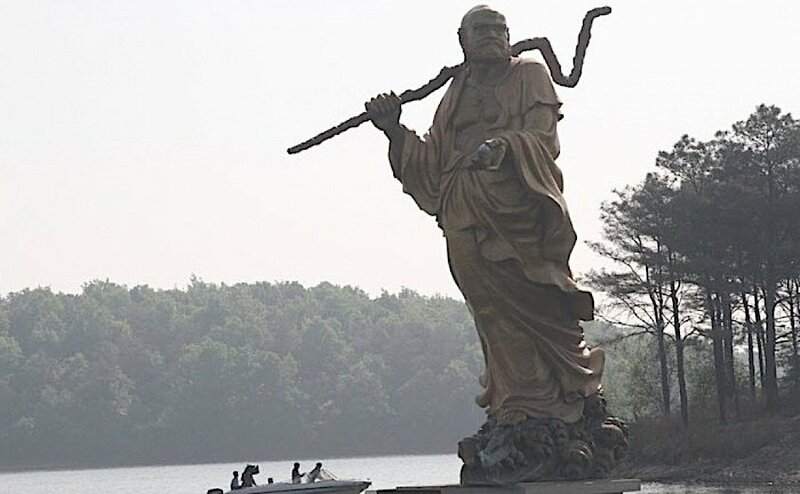 The great patriarch of Ch’an Bodhidharma, who brought Zen’s precursor to China from India. Statue in the Shaolin temple Songshan Denfent City in Henan Province. 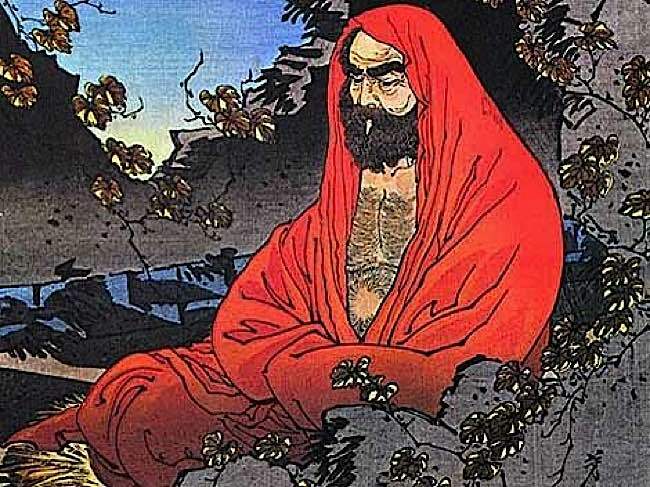 Bodhidharma leaves us with a strange, but profound legacy. Bodhidharma taught that direct perception were ultimately important than “words and scriptures” though, by no means, did he reject them. After his death, Ch’an Buddhism spread throughout China merging with elements of the indigenous Taoist religion and from there spread to Vietnam where it became known as ‘Thein’, Korea as ‘Son’ and most famously, to Japan where it became known as ‘Zen’.